Here at Wisconsin Laser Center, we’re all about new beginnings and forgetting the past. Because who hasn’t done something they’ve later come to regret? 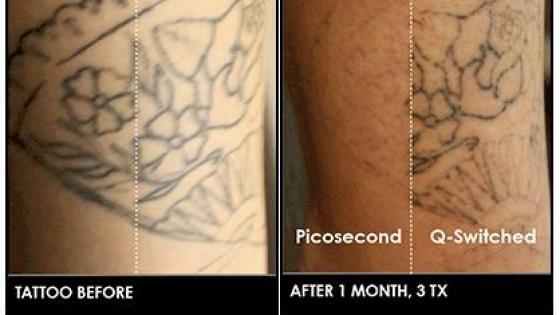 Our mission is simple – get rid of your unwanted tattoo and return your skin to the ink-free slate it once was. And now with our added service for Laser Hair Removal and Laser Wrinkle Reduction, we we will stop at nothing to deliver the best results for our patients. Loved it. Always professional, clean and friendly. My experience with Ryan has been great, he always make sure you are comfortable and makes sure you are satisfied with the service. He seems to listen to the customer. My laser hair removal experience has gone very well to date. So far I couldn’t be happier. Ryan is very knowledgeable and does a great job getting through the painful process as quick as possible. Very comforting experience, and fast turn around for completing my appointment. I plan on going back for future services. Erica was very friendly and strived to make sure I was satisfied with my service. She did a great job. Ryan was great, explained everything super well, was very informative and kind. I will stick with all my treatments with him, he did a great job!! Ryan is fantastic!!! He thoroughly explains the procedure and what to expect. Super clean facility. I highly recommend!! Ryan is amazing and makes sure you like your results. He is just simply fantastic at his job! Highly effective treatments! Staff is efficient and have tremendous bedside manner. Very professional treatment! Quick but not rushed! Clean and well maintained facilities. My technician Alexus is completely fantastic! Very knowledgeable, professional and personable! I think that Ryan is great- he is extremely friendly and very caring in regards to making the process go as smoothly as possible. This is my first time having this done. Ryan put me at ease, and was very informative of the procedure and after care. Could definitely tell he truly does this to help others and loves what he is doing! The service was impeccable!